A nurse's phone call at the right time can prevent a trip to the ER. Inside the hospital, Ted is what's known as a frequent flier, a patient we see over and over again. Unlike airlines, hospitals don't offer people like Ted perks or first class upgrades. In fact, they often get worse customer service, like the apocryphal boy who cried, "Wolf!" Patients like Ted attract a lot of attention from hospital administrators and health policy wonks. Ted's on Medicaid. And he's a heavy user of health services. Recent Medicaid data show that the top 5 percent of patients account for more than half of all Medicaid spending. Intuition says if we can improve the health of frequent fliers then we stand to reduce our nation's spending on health care. This is an idea that some health innovators call hot-spotting. Turns out that it's not easy for doctors to move the needle. I see Ted every month, deal with his current health concerns and tweak his medications. But it's still not enough to keep him from making what I consider frequent, unnecessary trips to the hospital. His needs go well beyond his office visits with me. A lot of his problems are more prosaic: transportation, basic nutrition and getting his medication filled easily and on time. This is where our new nurses come in. As part of a Medicare pilot project, our Tulsa, Okla.-based academic practice is paid up to $40 a month for each high-risk patient so we can focus on prevention as much as treatment. The money allows us to employ nurses who work the phones, calling high-risk patients and talking them through their anxieties, reinforcing the need for them to take their medicine, troubleshooting transportation and scheduling screening services. This last bit really pays off. When patients like Ted come into the office, I almost never have time to deal with the preventive medicine issues because there are so many immediate needs to take care of. Not only do the nurses schedule colonoscopies and mammograms, they follow through to make sure that patients are educated about the tests' purpose and that they actually get done. I was so intrigued by what our new nurses do that I've started attending their staff meetings. Every month we receive an overview of our practice and the number of patients deemed high-risk. 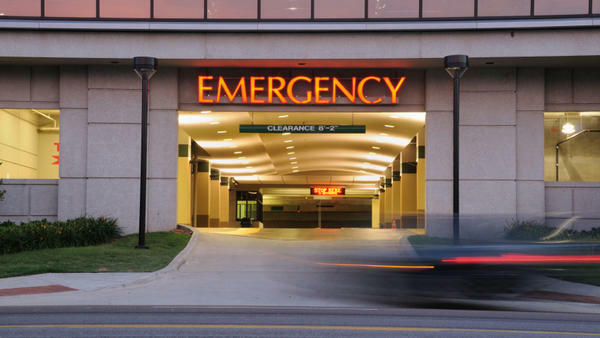 We are now swimming in data: how many times patients visit the ER, how many times they are hospitalized, how quickly we see them when they leave the hospital and how often they get readmitted for the same condition. Our goal with all of those measures is the same: drive them down. We are on a mission to both improve care and contain costs. The data also includes stats on our success with offering and completing preventive services. It's a whole new way of looking at our work. Our perspective has moved from a string of one-on-one encounters that are the traditional lifeblood of medical practice to an aerial view of the whole enterprise. It makes me feel like an Apollo astronaut seeing the earth from above for the very first time. It's an inspiring view.